with your remedies. Whenever I have any skin condition, I turn to Tea Tree Oil. It is the miracle solution to fix all issues. My favorite is from Radha Beauty. It is 100% natural, and is produced through steam distillation of fresh leaves from the Melaleuca Alternifolia tree. This therapeutic grade essential oil is of the best quality you can find. It is a natural antiseptic and can be used to fight acne, dandruff, toenail fungus, sunburns, and more. 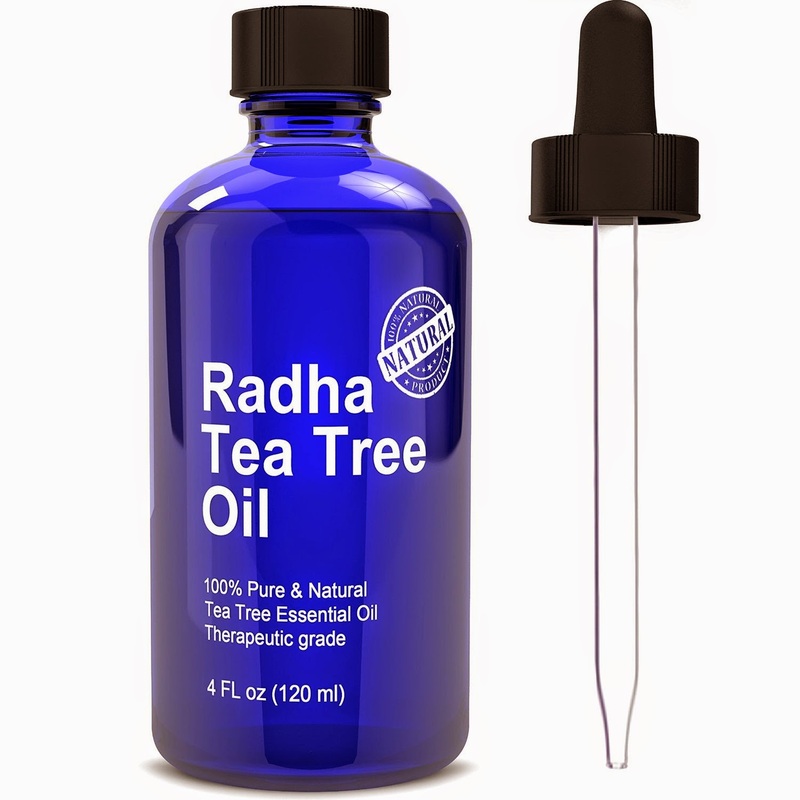 So try Radha tea tree oil, they guarantee satisfaction, can’t say the same for your man…..